Okay, I'll admit to be a bit disappointed in not getting Pickens. Yeah...greedy, but if we blue shirt Harris but also get Green into this class...at a position of real need...wow. Incredible. Talk about filling needs. Green a 3 and 2 guy? He still signs for 2019 class, which is limited to 25. Blueshirts included, 247 been saying 24-25 is max. We're at 25 right now. With new rules, blueshirts no longer allow you to oversign. I'm curious if we try to grayshirt someone if we want Green included that bad. He was never being included, we're already at 25 unless Pruitt has a trick up his sleeve. All signs point to us being filled up. I thought Pruitt said they are done on the celebration show. This still possible? If a ToS mod comes out with insider knowledge, then I'll believe Pruitt has a trick to use. Otherwise, I don't see how. Blueshirt's can count towards the '20 class if needed, also Grad Transfers can too. I do believe we are done except if he's looking at another Grad Transfer, which he could take from the '20 class if there's someone who can help. A playmaker at WR, a bruiser at RB or possibly a safety that could start day 1 would be the only ones I could even see as a possibility. You're thinking of initial counters. There is a separate signee limit of 25 and blueshirts count to 2019. Those are because of the new signing limit rules. Blueshirts have effectively been done away with for the future, minus rolling over pre-rule blueshirts for now. I gotcha. These new recruiting rules make it almost impossible for fans to understand them. Like Fant for instance. He was part of the '18 class, but Blue Shirted and his scholly was taken from the '19 class. I've given up trying to understand these rules. Jimbo was just on espnu radio and said they was done for the day??? 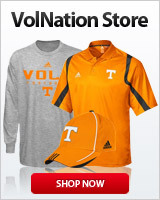 @Bvols was calling To’ as early as Sunday night. He continued to drop hints in the Russell thread. He knew something was up. I’d listen to him now. Appreciate the gif, random new member. With TOotToot looking like he gone, I say take this dude with Wright and Russell. Savion is gonna be a freaking beast and will be major impact. What happened to CockyTalk? Did it crash, or is it gone? I really dislike the nickname USCjr. It's giving way too much credit to OJ Simpson U. Now that signing day is over, I'm waiting for Texas vs Tennessee....the real UT debate to begin. Maybe a new thread?